Keep this number in mind: 3500. That’s the number of calories in one pound. It is also the number of calories you’ll need to eliminate through diet and exercise to lose one pound. In general, if you create a caloric deficit of 3500 calories per week, you should lose one pound per week. When trying to figure out how to lose weight, most diet and exercise programs will give general guidelines or even meal plans. However, unless they are tailored specifically to you, there’s no guarantee that you’ll lose weight as fast as promised – or at all. It should go without saying: the most effective and best way to lose weight is to tailor your approach to your individual needs. The math isn’t complicated, and there are several resources available to do most of the work for you. Let’s get started! Step 1: How many calories should I eat? • how many calories you burn (or plan to burn) exercising. Before starting a diet and exercise plan, track your food and drink intake for about a week to get an idea of how much you’re actually eating. Keep a food diary, or use a tracking app. This may cause you to consciously change your eating habits, especially if they’re not very healthy. However, you won’t get a realistic picture of your true eating habits. So eat what you normally would, and track everything. After your tracking week, you’ll have a good idea of your average daily and weekly caloric intake. You should also have a good idea of your average macronutrient intake (protein, carbohydrates, and fat). This will be important information to plan your meals later. TDEE, or total daily energy expenditure, is the number of calories you burn daily. This includes both your BMR (basal metabolic rate) and your activity level. Another way to look at this number is as your maintenance level. Maintenance is the number of calories you should consume daily to stay at the same weight. If you are able to find out your body fat percentage, you should do so before using the calculator. The most accurate way to find out your body fat percentage is with a DEXA scan (usually done at clinics to find bone density). If you are unable to do this, there are a number of other methods you can try. There are a variety of weight loss calculators that will do the math for you, and it is highly recommended that you use them. Can you calculate it on your own? Yes. However, the formula is not the same for everyone since TDEE is only truly accurate when body fat percentages are accounted for. For anyone with a higher BMI, the normal formula will overestimate your caloric expenditure. BMI stands for Body Mass Index, is a measure of the ratio between your height and weight. Calories are overestimated with BMI is due to the higher amounts of body fat and decreased muscle density usually seen in with overweight and obese individuals. This reasoning also applies to people who are not technically overweight, but have a high body fat percentage and low muscle density (often referred to as “skinny fat”). On the flip side, individuals who are technically overweight but have lower body fat percentage, such as bodybuilders and powerlifters, will underestimate their TDEE. Even at rest, muscle burns more than twice as many calories as fat. Back to the original point: Use an online calculator, or have a trainer or coach help you figure out your TDEE for the most accurate number. Step 3: How many calories do you burn exercising? It is important to take exercise into consideration before establishing your final weight loss calorie intake goal. Some methods are more accurate than others. 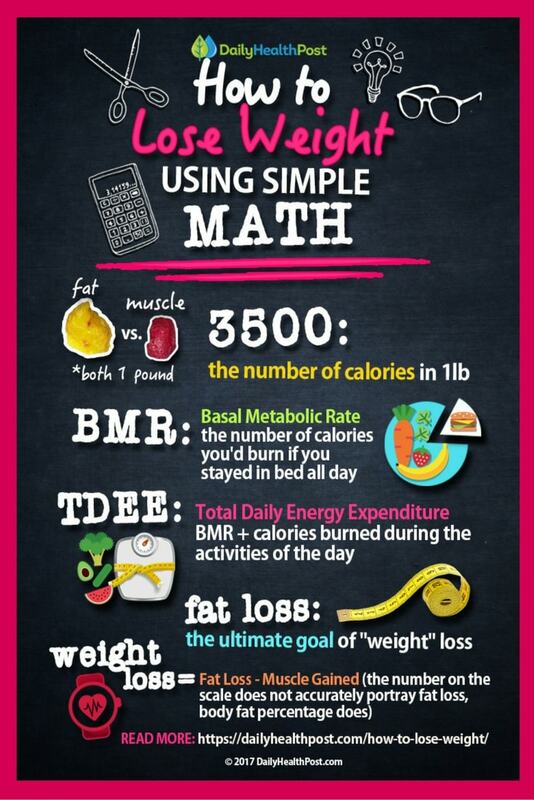 There are a number of online calculators that estimate your calories burned based on your height and weight, but (as you probably guessed) these calculators do not take into account your body fat or muscle mass. For the most accurate results, you should wear some sort of heart rate monitor when you work out. Just as with your food intake, track your results over one week to get a good average. Look for a heart rate monitor with a chest strap, as they are much more accurate than wrist-only monitors. Through your fitness journey, you can always adjust your caloric intake with your exercise. Should you increase your overall intensity as you get into better shape, adjust your calories accordingly to avoid a stall in weight loss. You’ll need to take into account all the muscle you’re gaining, since it will increase your BMR drastically. If you happen to get injured, you can decrease your food intake so you don’t gain weight while recovering. Ok, let’s get real for a second: the fastest way to lose weight is NOT the best way to lose weight. Crash diet plans and rapid weight loss are a surefire way to hurt your hormones and metabolism. What’s worse is that studies show that the faster the weight comes off, the more likely you are to gain it back and then some. There’s a term for it now based on a popular reality show: “The Biggest Loser Phenomenon” (1). Hence, why the magic number is 3500. Not 7000. Not 5200. The goal is to cut 3500 calories (or less) a week, through a combination of diet and exercise, with a maximum goal of one pound of fat loss per week. Slow weight loss and smaller changes over time also factor an important aspect of the human condition: we are creatures of habit. Unless you are morbidly obese, there is no reason to jump into extreme dietary changes. Slow, manageable changes in your lifestyle allow you to permanently change your behavior and habits. Start by cutting between 250-500 calories per day, for a total caloric deficit of 1750-3500 calories per week. Once comfortable with the math of tracking your food and caloric intake, you’ll want to start tracking your macronutrient intake to maximize fat loss. Macronutrients consist of proteins, fats, and carbohydrates. There are 4 calories in every gram of protein. There are 4 calories in every gram of carbohydrates. There are 9 calories in every gram of fat. Approximately 40% of your total caloric intake should come from good, lean protein sources (chicken, lean fish, ect…). This number should end up being between 0.8-1 gram of protein for every pound of lean body mass. Try to get within 10 grams of your protein goal every day. It’s ok to go over (the excess won’t store as fat), but you don’t want to make a habit of falling short. The most important part of your diet is your protein intake. Adequate protein intake will ensure you don’t lose muscle while you’re in a deficit. The remaining 60% of your calories will come from carbohydrates and fat. Again, try to ensure that most of your calories come from unprocessed, whole foods. The ratio of carbs to fats is not as important as making sure you don’t go over your calories for the day. For more on this subject, read this article on flexible dieting. In order to keep your sanity and avoid binge eating, allow up to 20% of your daily intake to be whatever you want. This means that 80% or more of your food should be whole, preferably unprocessed, healthy food. For the 20%: treat yourself with a little ice cream, a donut, a soda, a margarita – whatever you need to keep yourself from going crazy. Just try not to go over your calories for the day. Plan your treats around social activities when you can, so you don’t feel like you’re missing out. To make more healthy changes over time, plan your own social activities. Host a healthy food pot luck and make some homemade ice cream to share. 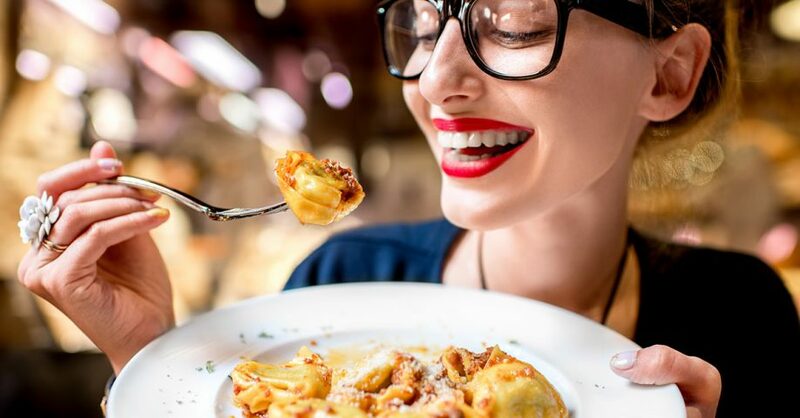 Not only will you continue to lose weight, but this is a proven strategy to keep your diet on track in the long run and help you reach and stay at a healthy weight.